Sir Thomas Gascoigne (1745–1810) was a cultivated Yorkshire landowner who supported the cause of American Independence. He is shown bare-chested in the antique manner. 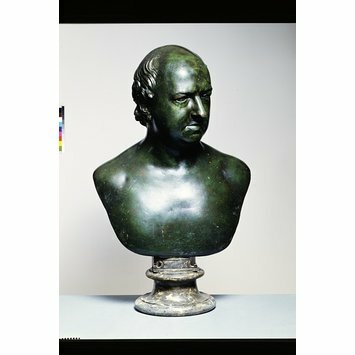 The bust was made in Rome by the Irish sculptor, Christopher Hewetson in 1778. Hewetson (B. Kilkenny with birth date unclear; d. Rome 1798). He worked in Dublin before moving to Rome to live and work in 1765, where he remained for the rest of his life. He specialised in portrait busts of British visitors on the Grand Tour and established himself as one of the prominent British sculptors working in Rome at that time. 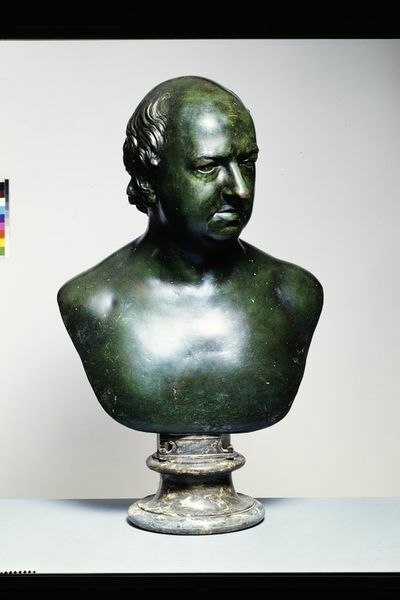 Another version of this bust, probably cast by Valadier in Rome at the same time for Sir Thomas Gascoigne’s friends Mr and Mrs Swinburne, is now at Lotherton Hall, near Leeds in Yorkshire. The head and shoulders of the sitter are shown unclothed, the head turned slightly to his left. He is a plump, balding man in middle age. Fixed on a marble socle. Given by John H.J. Lewis in 1986.